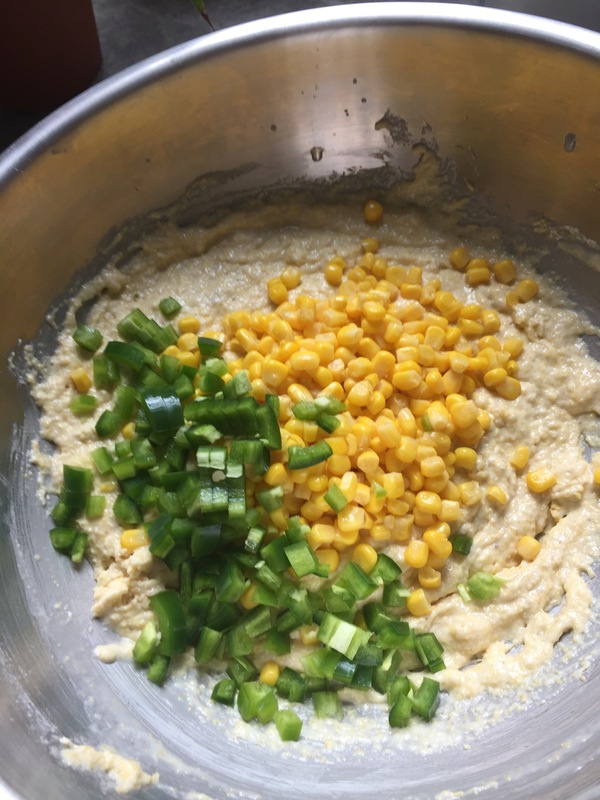 So without further ado here is the best darn vegan jalapeño cornbread you will ever have. Set out the butter for a few hours so it is at room temperature, if you forget this step no worries. I’ve got a great trick! You can put the butter in the microwave for 10 seconds, flip it, and microwave for another 10 seconds. You want your butter to be soft but not melted. Next prepare your flax egg. 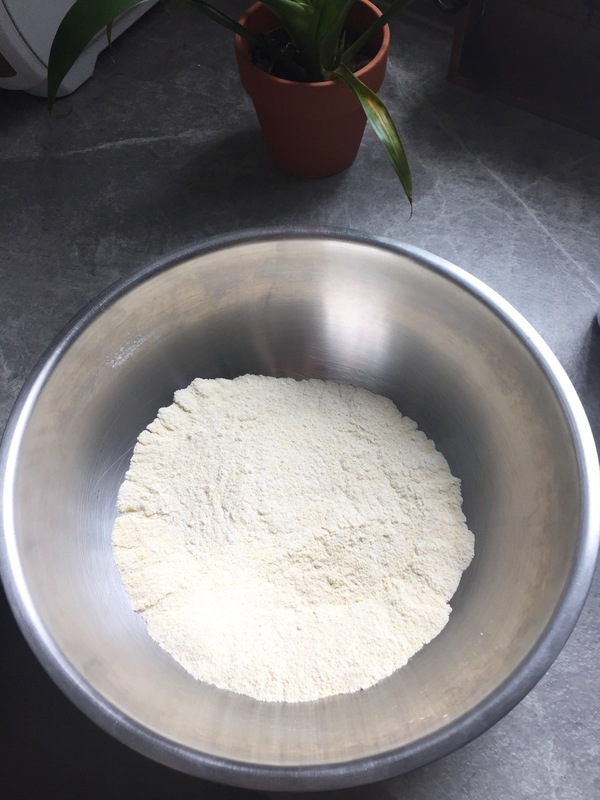 In a separate bowl combine dry ingredients. In another bowl combine your prepared flax egg, butter, buttermilk, and oil. Once those are mixed well add them to your dry ingredients and fold in the corn and jalapenos. 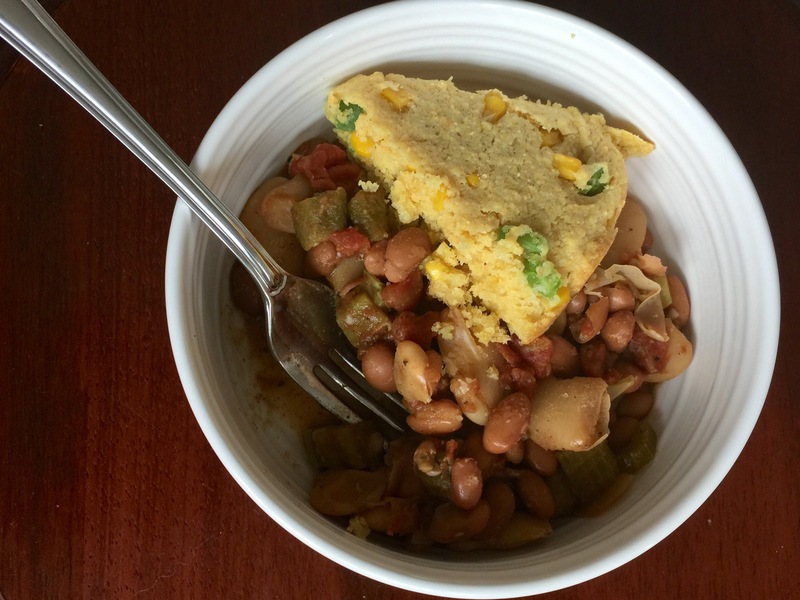 I used a round baking tin sprayed with olive oil for my cornbread. You could easily use a different dish if you prefer, just adjust your temperature/baking time accordingly. 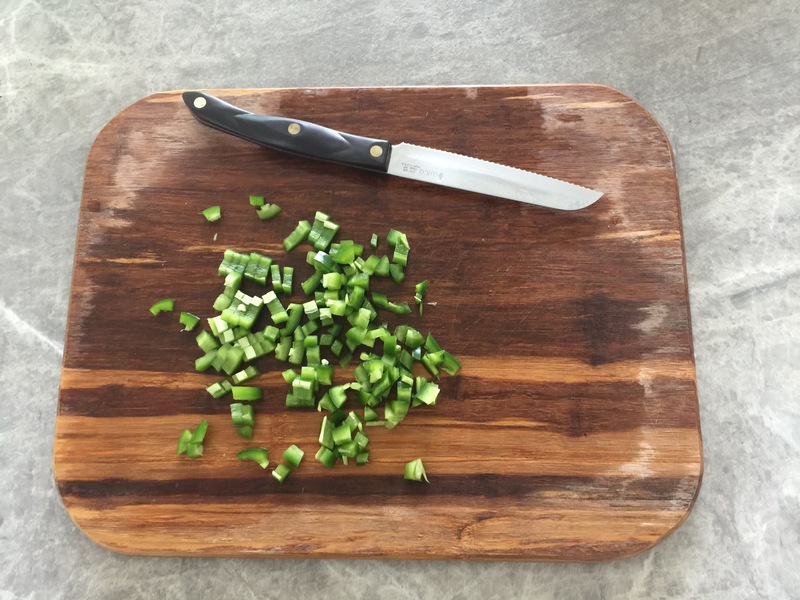 Pour the ingredients into your baking dish and bake for about 21-25 minutes or until edges start to turn golden. Wait for the cornbread to completely cool before attempting to cut or remove from the pan. Then enjoy! Ive of course included the printable version for y’all here. 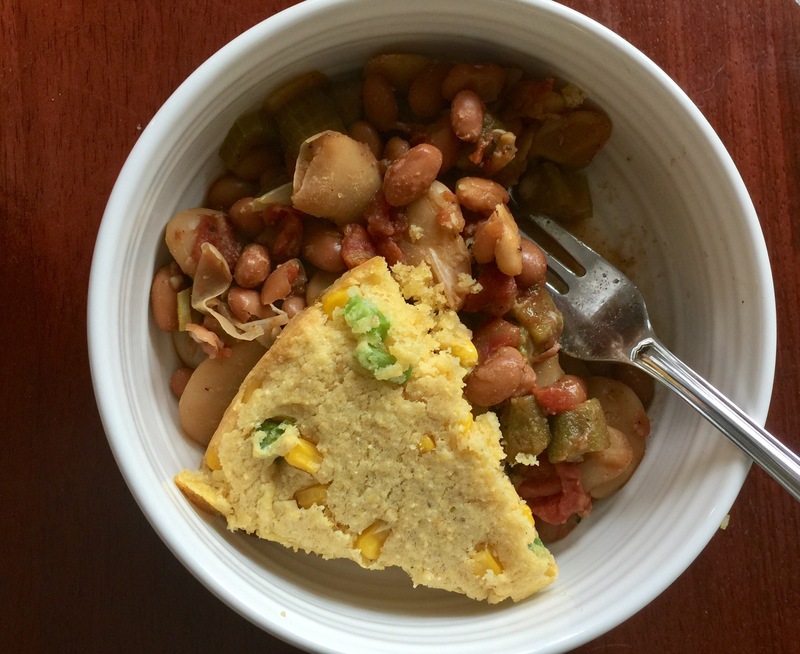 A spicy twist on traditional cornbread that will make your taste buds holler for more. Set out butter so it is at room temperature, if you forget this step then you can microwave for 10 seconds flip and microwave for another 10 seconds. You want your butter to be soft but not melted. Preheat the oven to 390F. You will want to make the buttermilk first as it has to set. 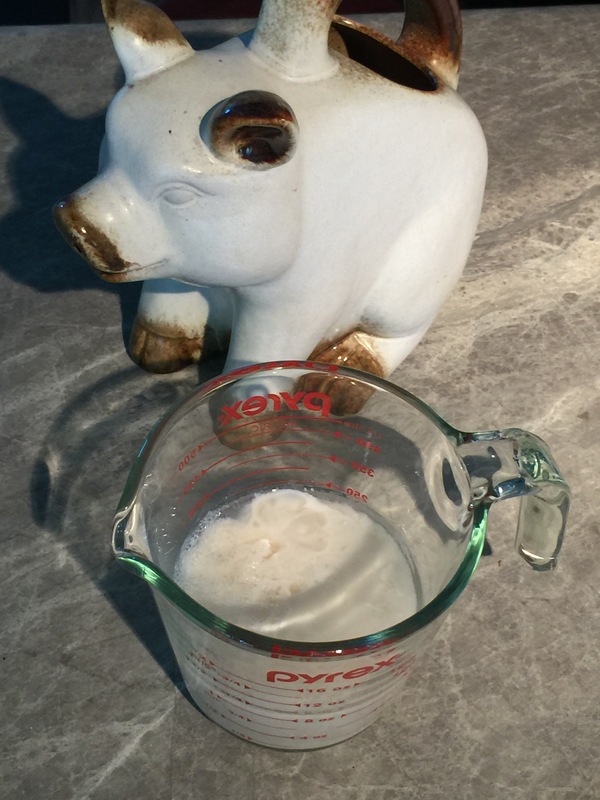 You can make vegan buttermilk with soy, almond, or cashew milk. I chose to use almond. Simply add 1 tablespoon of white vinegar to a cup of milk and let set for 5-10 minutes. (You could also use lime or lemon juice or apple cider vinegar instead of white vinegar.) Next prepare your flax egg. In a separate bowl combine dry ingredients. 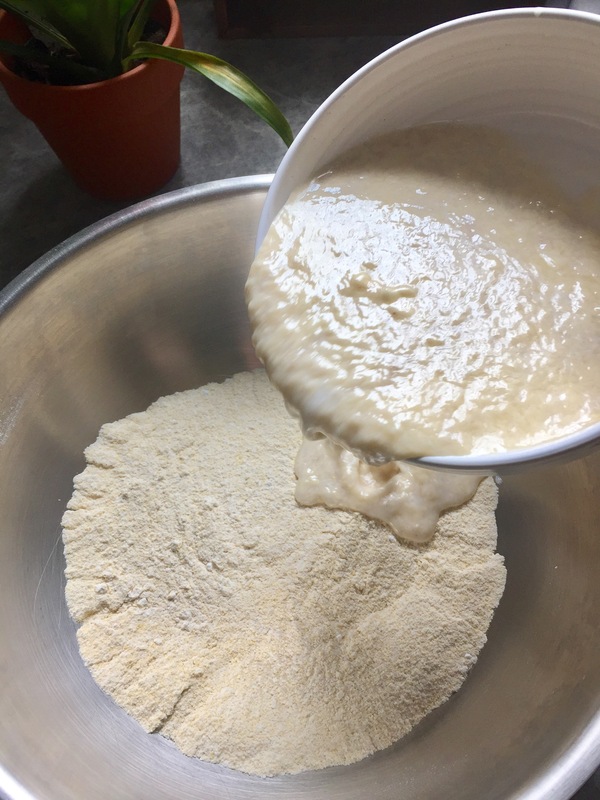 In another bowl combine your prepared flax egg, butter, buttermilk, and oil. Once those are mixed well add them to your dry ingredients and fold in the corn and jalapenos. 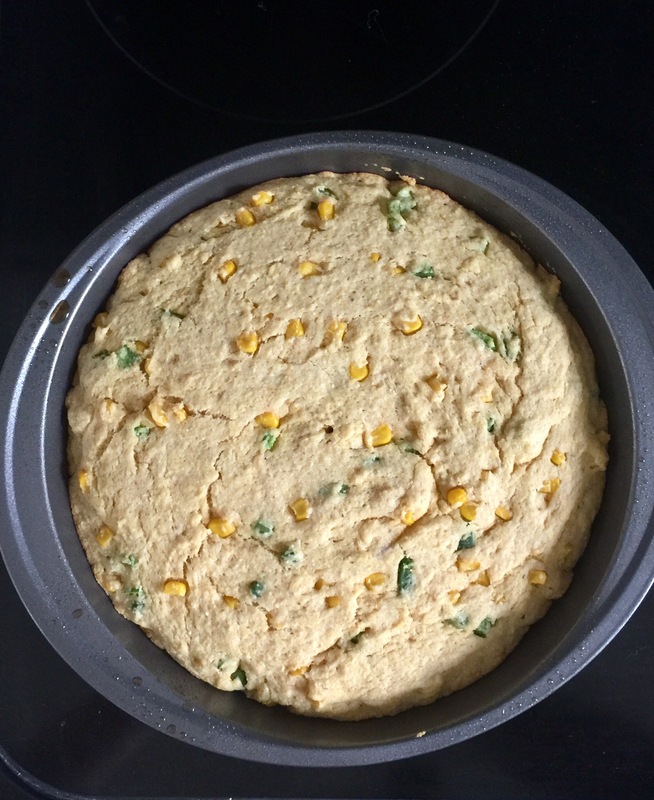 I used a round baking tin sprayed with olive oil for my cornbread. You could easily use a different dish if you prefer just adjust your temperature/baking time accordingly. Pour the ingredients into your baking dish and bake for about 21-25 minutes or until edges start to turn golden. As always don’t forget to follow me here at The Girl and the Coconut and on instagram, snapchat, and twitter @girlndacoconut. Happy baking! That’s a cool way to make buttermilk. Who needs animal products when plants offer so many creative options? !